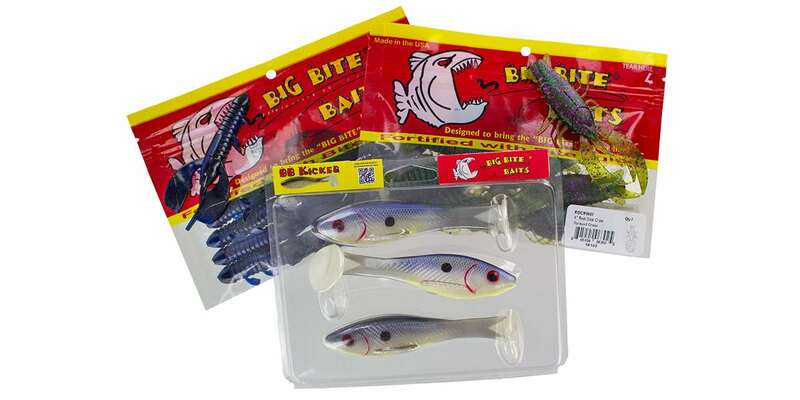 Russ Lane Tester Kit - Big Bite Baits, Inc. 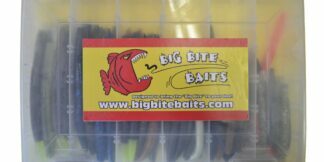 This is a great opportunity to try all of Russ Lane’s favorite baits in his favorite colors! 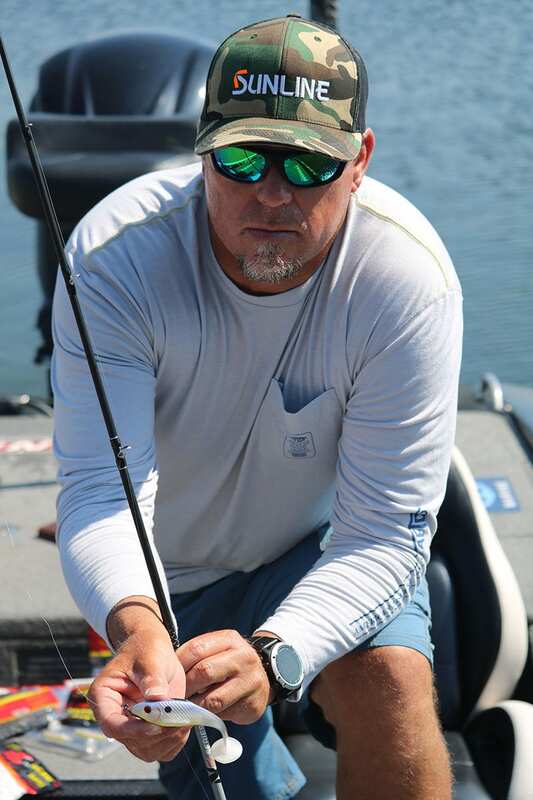 The YoDaddy was the first signature bait that Russ Lane designed for us. He specifically made it to have a lot of action (even with little movement) and a higher hooking percentage. 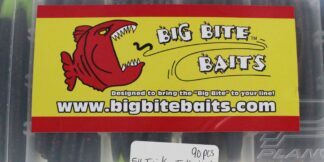 It was built around a 5/0 straight shank Gamakatsu Heavy Flipping hook. 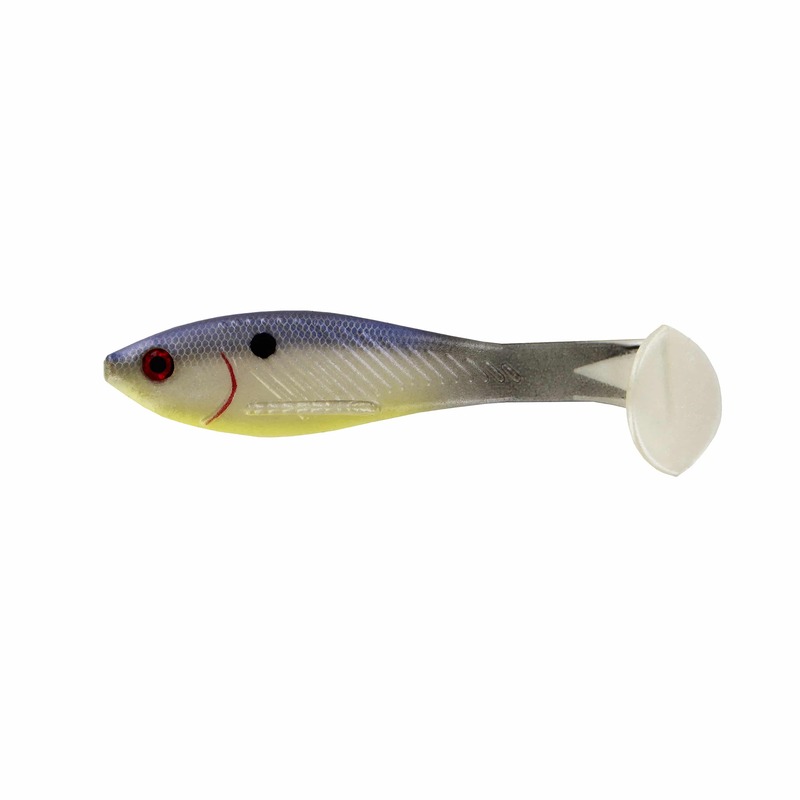 When Russ designed the BB Kicker, he wanted a swimbait with tremendous kicking action with realistic finishes. These kick HARD, and for a realistic appearance they are designed with a clear tail and a forked shad tail is painted on each bait. 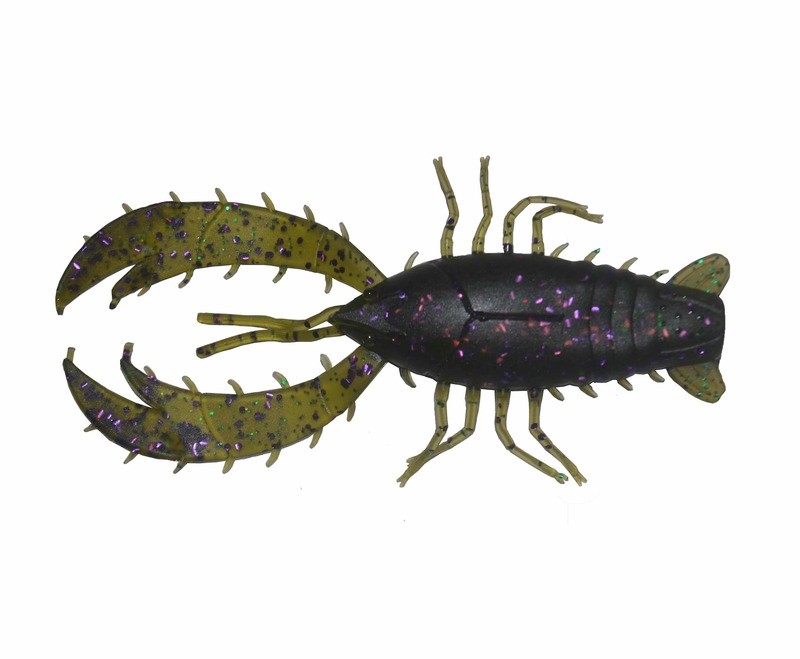 The Real Deal Craw is our most realistic craw design ever. 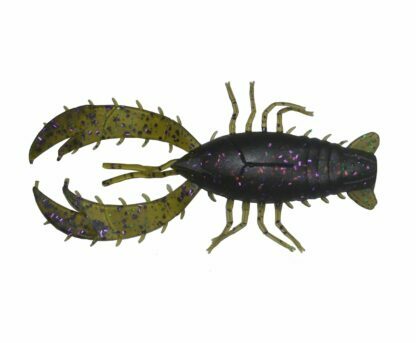 It has CAD designed features to make it look like a real crawfish. 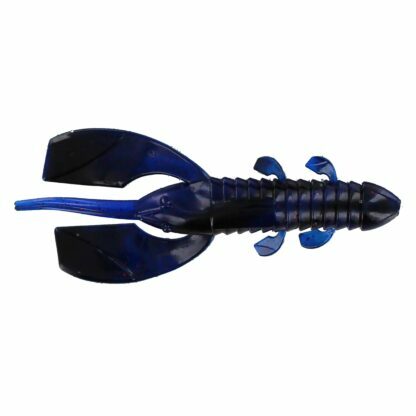 Out of the package, the pincers come connected. 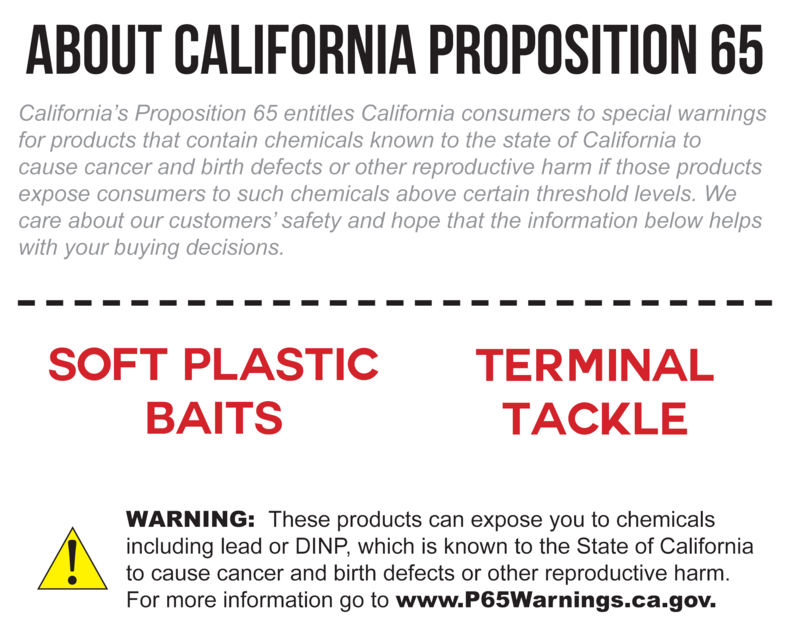 Fish it as is for a gliding action or pull the pincers apart for a swimming action. 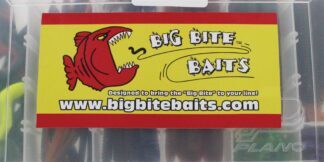 Use your Big Bite Baits logo decal wherever you want, whether that’s your car, truck, boat, tackle box, or Yeti mug.